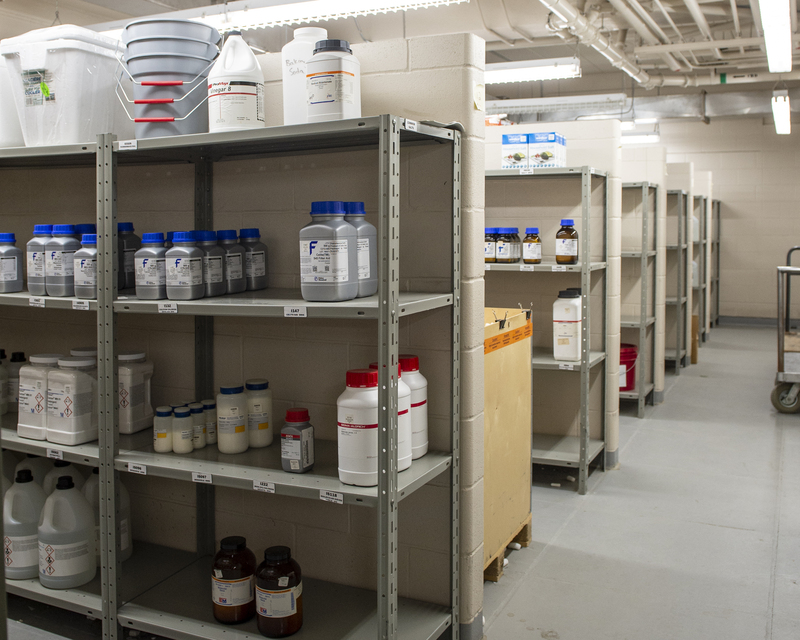 We are dedicated to the supply of laboratory chemicals and related materials and supplies. 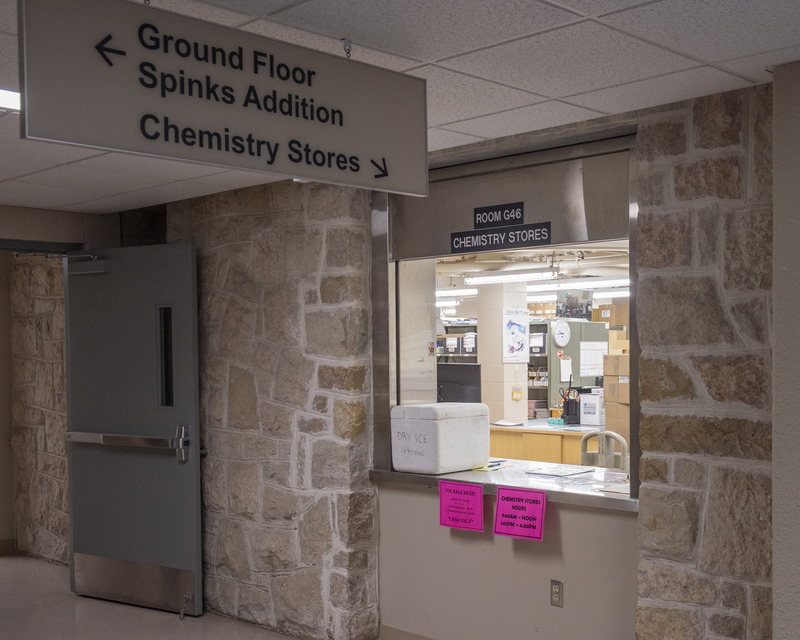 9:00 a.m. - 12:00 p.m. and 1:00 p.m. to 4:30 p.m.
We carry laboratory chemicals, consumable laboratory supplies, and liquid nitrogen. Click here for a listing of non-chemical stock that we carry. We can order dry ice and are able to place other special orders--please contact us for details. Download the Annual Account Authorization form and send it to chemistry.stores@usask.ca. By completing this form, fund managers provide the required advance written notification for the use of their CFOAPAL. To place an order, complete our fillable order form and send it to chemistry.stores@usask.ca. Upon our receipt of your order, you will receive an email confirmation and be contacted when your order is ready to be picked up. The Annual Account Authorization form must be renewed annually as it automatically expires on March 31.